Humpback whales, butterflies, and bees need your help. Stand up for Mother Earth with us. The Earth needs your help. Mother Earth needs our help – now. Our mission at Girard Illustration is help wildlife and humans thrive – and sustainably prosper – together. Humpback whales embody the spirit of the oceans with their grace, song, and powerful love for each other. One of the most beautiful moments in the world is when a humpback whale mother helps her newborn calf swim amid rays of sunlight up to the ocean's surface for her first breathe of air. Click here to see more in the Art for Love Collection. © Kristen Girard. The thunder of wild hooves on an open plain. The peaceful song of frogs under the starlit sky. The unique call of loons at dawn on a mist shrouded pond. These are the true treasures of our planet. They are worth keeping safe. Animals from wild horses on the plains, to humpack whales calving in warm sea waters, to monarch butterflies on epic migrations, and sea turtles make nests in hopes that their children will grow up and thrive – they all need our help. Stunning plants like towering giant sequoias, lush life giving ferns and stoic elm trees, don’t get to choose the obstacles they face. Sprawling empty parking lots spreading out from repetative big business box stores that don't care about their employees or customers, boringly endless suburban sprawl, and heartless poachers block the paths of simple survival for animals as small and perfect as tree frogs and as beautifully mysterious as lynx. And it is time we spoke up for them. They deserve to thrive. They have the right to raise their young in safety, health, and happiness. They need connection with each other to prosper. These amazing and awe inspiring creatures of heart and spirit need our help, today – before they are gone for good. If wildlife vanishes from planet Earth, so does natural magic inherent in creation and life. Their survival depends on conditions outside their control, but not ours. You and me, together, can stand up for them, speak for their needs, and help others to care. Sometimes all it takes is small acts of kindness, at just the right time, to help our fellow creatures thrive. Other times we need to step out big and bold as champions of Mother Earth and all her creatures. We are the caretakers of the earth. We have the power to help. We have the power to speak up and be heard. Together we are stronger, our reach goes further, and our voices are amplified as we work to make our Earth a world where both wildlife and humans thrive and truly prosper. As part of our mission to save Mother Earth proceeds from every sale of art + stories go to fund biodiversity conservation efforts, environmental clean ups, & protect animal migration paths. Help save Mother Earth while making your home a beautiful haven full of the magic and joy of nature. Art & Story Treasures for People who Love the Earth as Much as We Do! 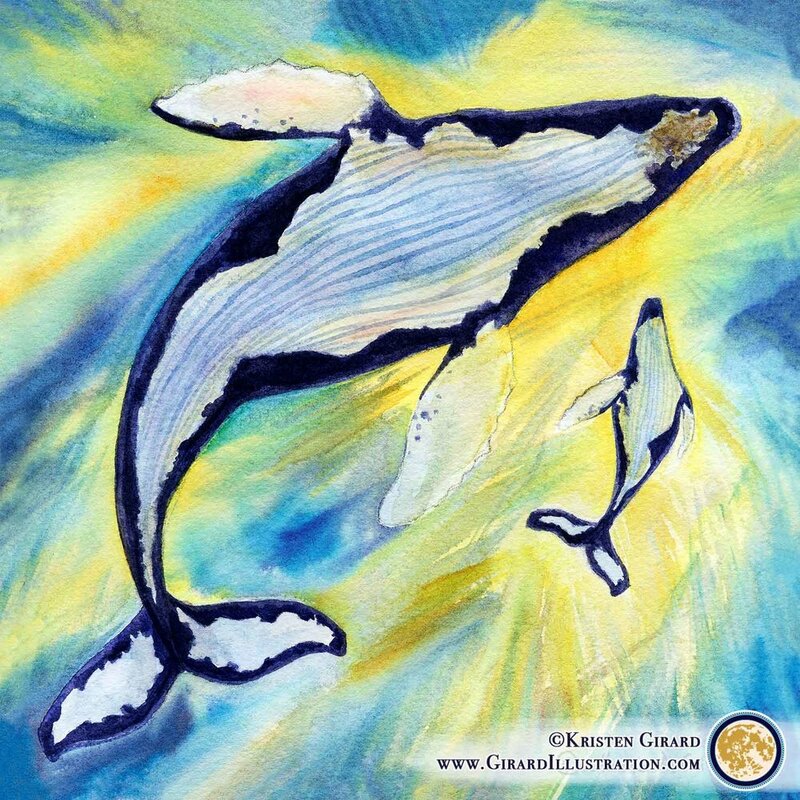 Join to be the first to know when new art & story treasures for the heart and soul are ready, and be an important part of our mission to help the Earth heal so she support the greatest treasures of all - whales, coral reefs, and dolphins. We respect your privacy and protect it like librarians do special collection books -fiercely and with love.